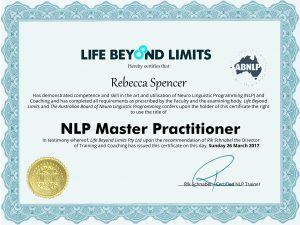 You’ve completed the Life Coach & NLP Practitioner Certificate and you’re now ready for Masters level. This level is designed to teach you some lightening fast ways to shift beliefs, grow your self-esteem and how to install a powerful mindset into your own neurology for a fulfilling life. During this comprehensive program, you will experience demonstrations, exercises, modelling and case studies to help you develop as a Master Coach with all the necessary skills. You will be able to facilitate ‘personal breakthrough sessions’ with people, as result they experience major shifts in their world as result of your work. For some, this training is about answering the call to go professional while for others you will learn more about yourself in 9 days than you have in a lifetime! Learn to change a Belief in seconds – much faster than NLP Practitioner! Enrol for Masters live by clicking here or do online training by clicking here. All our courses are accredited and recognized through the Australian Board of Neuro-Linguistic Programing (ABNLP). You will be eligible to seek insurance as a Life Coach and be legally indemnified through professional cover. Most life coaches are trained to listen, motivate, inspire and encourage their clients to move beyond their limitations towards success. This is why we love coaches! However many coaches, managers and other practitioners share that some clients revert back to old patterns and behaviours even after a period of success. By gaining the added NLP Practitioner Techniques, you will be able to help to break these patterns once and for all. We give you simple templates, business structures and systems to build your very own coaching business. The course is an incredible networking opportunity with leaders/movers and shakers from many different industries and sectors all sharing in each others growth. Many students have made friends for a lifetime. We offer opportunities for students become licensed NLP coaches and trainers with Life Beyond Limits. Trainer and Keynote speaker. He is an accredited NLP Trainer through the ABNLP and as such is able to provide certificate level training. 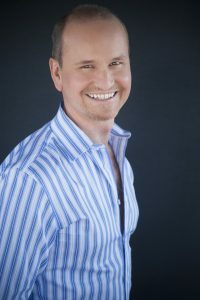 He is also the author of the bestselling books ‘The Secrets to Creating a Life Beyond Limits‘, ‘The Power of Beliefs,‘ ‘Roar Courage‘ and ‘The Life Coach Millionaires.’ R!k is proud to have given life changing teaching and information to thousands of people. He also has a strong business background as a former Marketing Manager with News Limited and founder of a multimillion-dollar advertising agency. If you prefer to email our enrolment manager, contact rebecca.spencer@lifebeyondlimits.com.au – or enrol straight away by clicking the Enrol button above.